Metal usage by humans is vigorously increasing day-by-day. Since the turn of the new millennium, human needs have mainly depended on different types of metal. Ores and minerals are the primary natural sources of metals. In order to process metals, manufacturers require certain methods and technology. This reference book provides six widely used varieties of metal synthesizing and the chapters are contributed by internationally reputed professors and researchers. Chapter One focuses on biomineralization. Biomineralization is an art of nature; it is an important process where organisms produce hierarchical mineral structures with diverse functions for their survival. This process happens through the self-organization of organic and inorganic molecules under ambient conditions, resulting in highly structured materials with remarkable physical and chemical properties. Chapter Two refers to the application of biological methods in mineral processing. Chapter Three describes monazite mineral processing; monazite is the main resource of rare earth metals such as uranium and thorium. 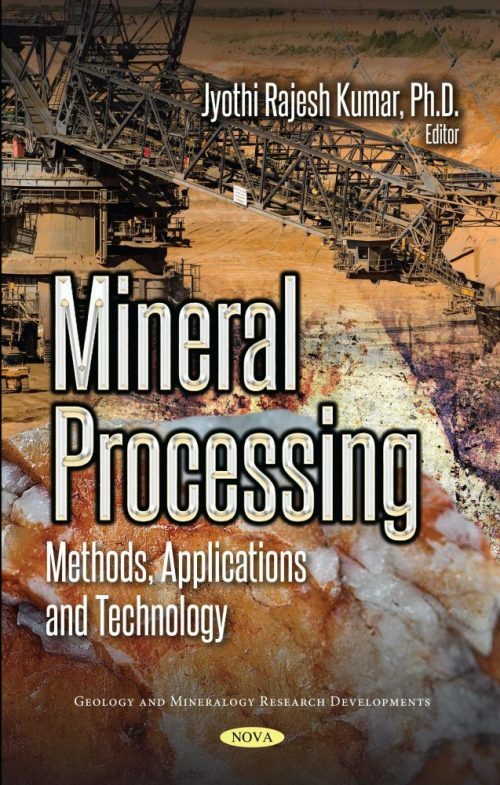 In this chapter, monazite mining, beneficiation and metallurgical routes are discussed. Chapter Four defines the hydrometallurgy of rare earth metals, including scandium. Chapter Five deals with ore extraction technology through computer aided engineering techniques. The final chapter concludes with the processing technology used to treat primary and secondary sources for base metal recovery. Audience: Mining & Metallurgy Industry as well as Metallurgical & Materials Engineering students can read this reference book.